UK-based Signbox is a leading signage specialist with over 33 years’ industry experience. With intelligent design and application, the company consistently delivers award-winning visual communication strategies via traditional and pioneering signage methods across a number of market sectors, including corporate, education, healthcare, retail, hotel and leisure. 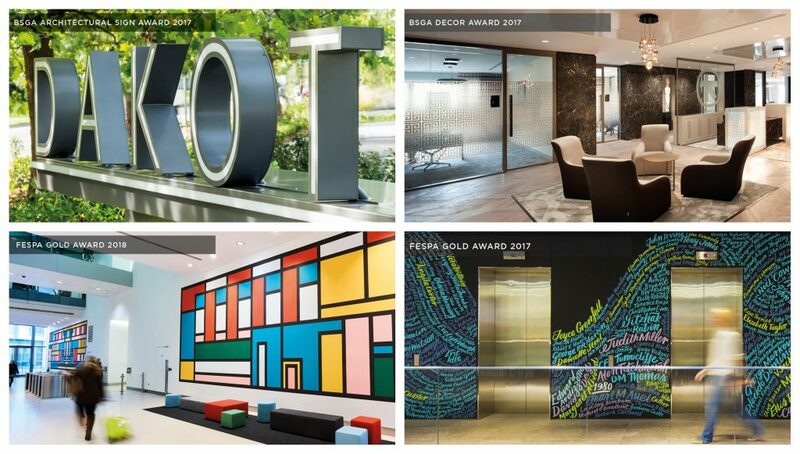 With a proven formula based on contemporary design, technical innovation and engineering excellence, Signbox’s holistic approach continues to put the company at the forefront of architectural signage. Sourcing and implementing cutting edge technologies and high quality sustainable materials, the company is renowned for delivering powerful interior and exterior signage projects for a diverse range of global brands in the UK, Europe, the Americas and the Far East – all of which are compliant, future-proof and visually arresting. From concept to delivery, Signbox’s design team and installation specialists can create and execute bespoke signage installations from an eclectic range of high-end solutions and services that enable a brand to express itself in any environment. Beyond traditional signage applications, the company’s service offering includes fabricated external structures, digitally printed glazing manifestations and wallpapers; way finding signage, digital signage, LED infused glass structures, contemporary name plates, interactive print via Near Field Communication (NFC) and signposting, among many others.